Metal Guys are a giant species of Shy Guys that appear in Yoshi's New Island. Metal Guys spawn via giant metal pipes and Yoshi can swallow Metal Guys by rapidly pressing the button to turn them into Metal Eggdozers, which can be used to destroy otherwise indestructible obstacles underwater. ↑ "One way to get a Metal Eggdozer is by swallowing a Metal Guy." - Yoshi's New Island digital instruction manual, Page 13 / 17 All about Eggs. 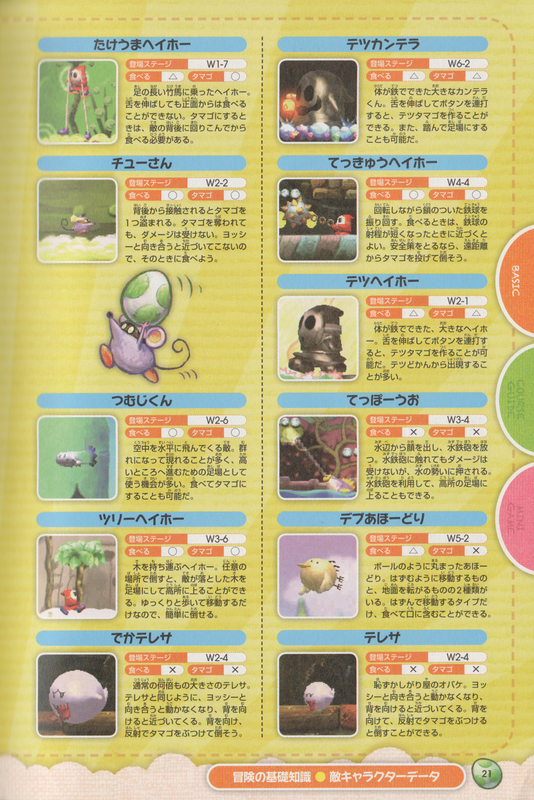 ↑ 「ヨッシー New アイランド 任天堂公式ガイドブック」 (Yoshi's New Island Nintendo Kōshiki Guidebook), page 21. This page was last edited on November 13, 2018, at 15:41.